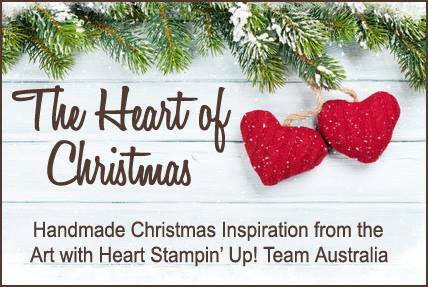 Hi everyone and welcome to week 4 of Christmas inspiration with Art with Heart Stampin'Up Team Australia. For the base I used Night of Navy Card Stock, on the white mat I sponged Tempting Turquoise, Soft Sky & Night of Navy. 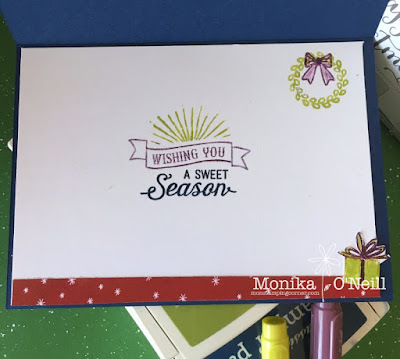 The trees are from Lovely as a Tree Stamp Set in Old Olive ink and I put it through the Big Shot using Softly Falling Embossing Folder. The window is the Hearth & Home Thinlet using Eastern Palace DSP and the background paper is from Be Merry DSP and the little girl is from Birthday Memories DSP which I fussy cut. The sentiments are from Oh, What Fun Stamp Set and I used the Lemon Time Twist & Fresh Fig Markers and Night of Navy Ink Pad. 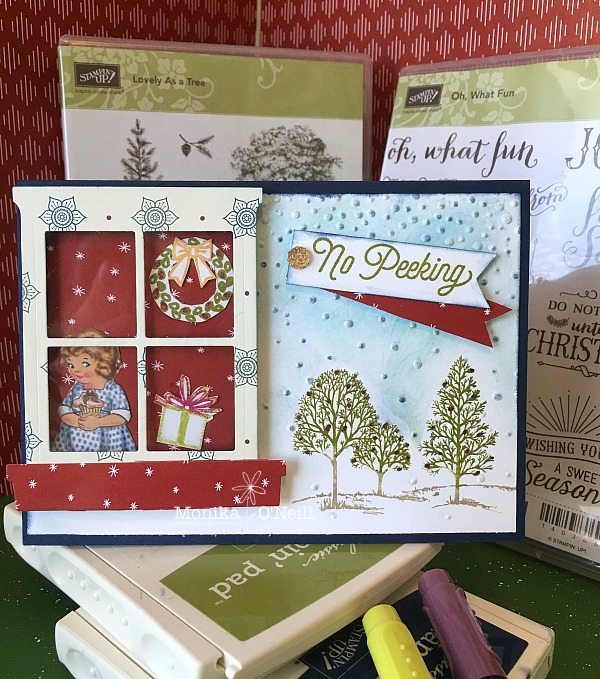 If you would like to see what others in our team have created, you can view the participant list over on the blog of our leader, Claire Daly.